This entry was posted in Pixel Scroll and tagged Bastien Lecouffe-Deharme, Black Panther, Carmen Maria Machado, Cat Eldridge, Ellen Datlow, Han Solo, Jeb Kinnison, John Picacio, Kameron Hurley, Mark Hamill, Matthew Cheney, Rosalind Palermo Stevenson, Sofia Samatar, Star Wars: The Last Jedi, Terry Goodkind, Worldcon 76 by Mike Glyer. Bookmark the permalink. Well. When I started to read SF, the standard was that the cover had absolutely nothing to do with the content of the book. Apart from perhaps the title. And still I bought them. I know authors who have complained about covers (on their sites, in interviews, etc. ), although they usually complain that the cover has mistakes, or that the cover didn’t help sell the book. This seems different for some reason. Maybe it’s because of the tone. Turning into a contest seemed to take this to the next level. While both authors were public about being upset with covers, I don’t see this as being the same. That might be because we didn’t have Faecbook and Twitter back then. This was a static post on her website, without comments from fans. Also, the tone seemed different than the Goodkind post. You could tell she was annoyed, but she took it in stride. Also, there is a difference between complaining about a Bastien Lecouffe-Deharme cover (something I know many authors would love to have) and a very very “meh” Silhouette category romance cover. Also, Goodkind’s is a good example of nonpology. Don’t you think for a moment he apologised to the artist. Non-genre coincidence:: one of Book Riot’s daily deals was “The Clothing of Books” by Jhumpa Lahiri. An 80 page essay on book covers and her relationships to them, both as author and reader. I’m on page 50 and I am pleased to be reading this. I might not have picked it up except for the current discussion. 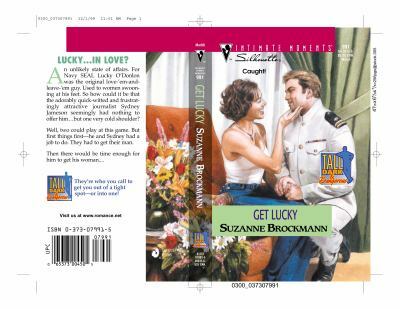 Anne Marble: romantic suspense author Suzanne Brockmann took to her website to complain that the original cover of her book Get Lucky made her Navy SEAL hero look like the Pillsbury Doughboy. @Laura Resnick, yes, sorry, JJ corrected me above. I wasn’t tracking very well, apparently. I was with my cousin in the Emergency Room overnight, so brain very slow (she is going to be fine – probably home tomorrow). (2) WAIT A MINUTE. As with everything, I presume Trump bought his. The stars are essentially bought – not awarded on merit. They’re basically a gimmick, so, with respect to Mark Hamill (and none to Trump), it’s not as much of an “honor” as the masses believe. (5) PROFESSIONAL DISCOURTESIES. 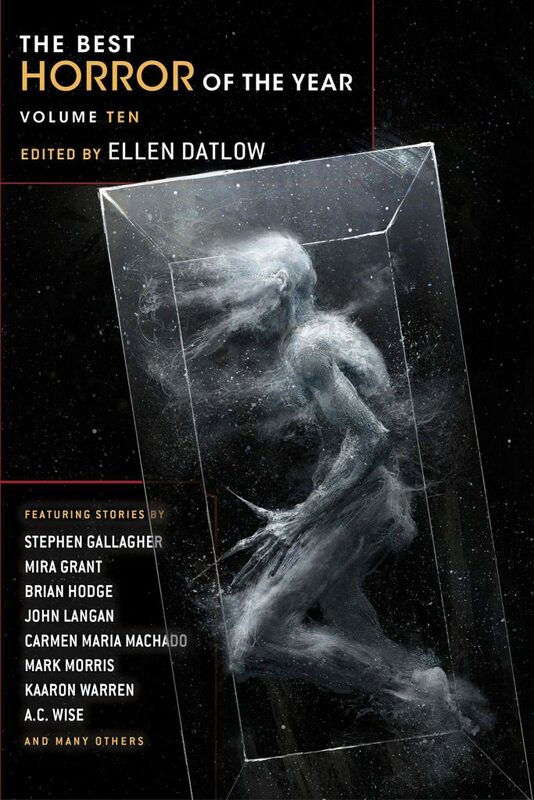 I like that cover. Apparently it’s not a good representation of what happened in the book, though I won’t be finding out (no interest in Goodkind’s books, unrelated to this dust-up). But it intrigues me, which is what cover art should do – make me curious about what’s going on inside. So, well done, Bastien Lecouffe-Deharme & whoever the art director was! @Laura Resnick: Thanks for linking to Goodkind’s apology/clarification/whatever-folks-want-to-call-it. (13) SIDE BY SIDE. I’ve bought songs or an album from Bandcamp a few times; I didn’t realize they sold CDs, huh. @rochrist: For me, it’s because the digital ones can be cheaper, they take no space, and anyway I download it and can back it up myself without worrying about Apple or Amazon doing so for me. And no extra RIP step. I’m groovy with CDs; I still buy them once in a long while, but it’s getting rarer and rarer. For me, at this point, there’s usually little-or-no benefit. @Paul Weimer: Meanwhile, the professional Nintendo Super Smash Brothers Melee tournament community is scouring America for CRTs, since digital screens introduce lag in converting the analog signal from the GameCube, and if you are timing your attacks to be frame perfect (1/60 second), lag messes up your gameplay. 5) Maybe the solution is to let Terry Goodkind produce his own cover art, like Janny Wurts sometimes does. If you want something done right, you’ve got to do it yourself, as the saying goes. I’ve come to Scroll with you again. (5) Rosemary Kirstein has recently made all four books in the Steerswoman series available not just as e-books, but as paperbacks (using Amazon’s CreateSpace) – including doing all four book covers. They’ve come out looking gorgeous, they are based on the maps that are such an integral part of a Steerswoman’s duties as well as other, book-specific things. I think they both sell the books and illustrate them. @Christian Brunschen: Those are attractive covers. @Niall McCauley: do counter-representative covers (as opposed to abstract covers) work? ISTM that they’re setting up for I-won’t-buy-that-again — which is significant given how much of genre is series works nowadays. Apparently it’s not a good representation of what happened in the book, though I won’t be finding out (no interest in Goodkind’s books, unrelated to this dust-up). But it intrigues me, which is what cover art should do – make me curious about what’s going on inside. So, well done, Bastien Lecouffe-Deharme & whoever the art director was! I was also intrigued by the cover scene. I also like that the female protagonist isn’t dressed as cheesecake. The only detail I question is the high heel of her boots. She has to walk miles in those things. 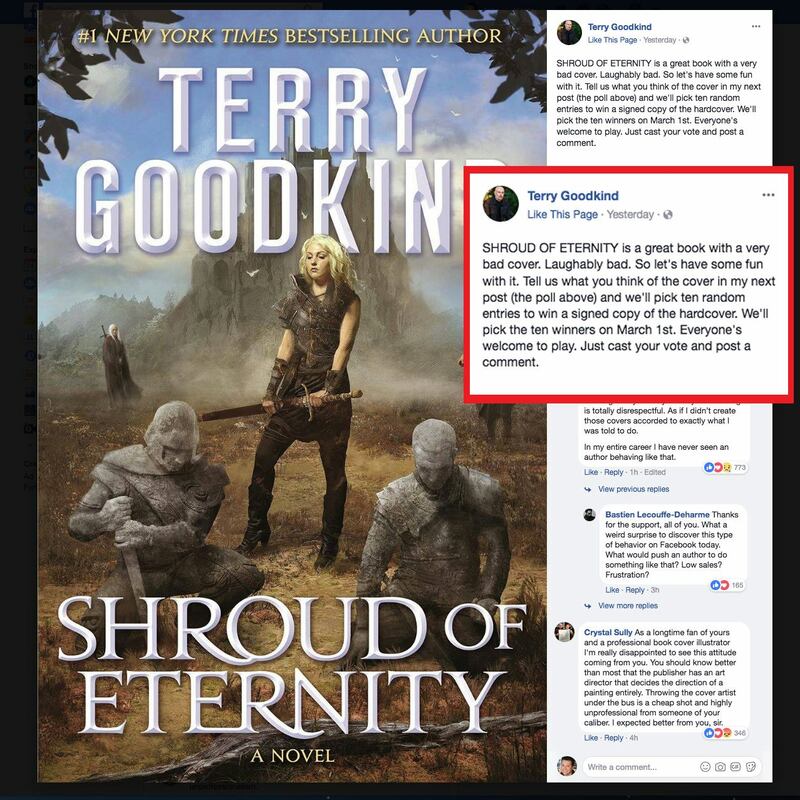 Probably a dumb question: Why doesn’t Goodkind have enough power with his publisher to get cover approval? @Kendall: I am surprised to hear that stars are “essentially bought – not awarded on merit.” Do you have a link supporting this? @O. Westin: I’m also … surprised … to hear that humans can sync to 1/60th of a second; ISTM that’s rather faster than nerves fire. Is there science supporting this, or could it be a ~marketing gimmick? It’s a combination of both. The committee approves around 20 new stars (plus 1 posthumous) each year from applications which include the $40,000 fee. Wikipedia says around 200 applications are made each year. The star has to agree in order to have an application made in their name, and they have to agree to appear in person at the unveiling ceremony. Being a little selective doesn’t make it less of a gimmick, to me. @Kendall: I’d say it’s even more of a stretch to call the stars “essentially bought”, given the ~10% success; Joe Schmo can’t buy himself a place. (I do see some issue with the minimum requirement of 5 years in the field — IMO it should be a lot more — but ISTM that the mean experience is much higher.) I’m sure the star and the sidewalk excavation&repaving don’t run to anywhere near the fee (to my sorrow, I have some idea of what sidewalk work costs), but I can see a lot of it covering ceremony, maintenance, the expense of running the process, etc. My favourite cover art story is still one from Tanya Huff, for the original cover for Gate of Darkness, Circle of Light, where the selected image for the cover was a scene in the book where a Metro Toronto Police car ran over a unicorn. Knowing that cover artists often got very limited information on what was supposed to be on this, and wanting this to be right, Tanya took several pictures of one of the local police cars from the time (getting some odd looks from the photo finishing place) and sent a stack of them to the art director to give to the artist. When the cover was done, and she saw it for the first time, the author realized that the police car was indeed, exactly as it should have been. But the unicorn was wrong. The unicorn in the book was pony-sized and somewhat goat-like that was actually half run over by the car. The unicorn on the cover was a huge Arabian stallion that would probably have left even a police car damaged after running into it.